Determined to provide high quality and accurate information on naval warfare in an easy understandable manner to a broad audience I created my first personal webpage, the Naval Analyses. However, Naval Analyses is not limited only to the naval warfare of today as I have already included in this page since its inception about 10 months ago, Fleets, Photos and Infographics of navies and warships of the past. So with this new post, I begin a new category of short articles where I summarize the main features of some very important former naval classes. The Sachsen class, which was the most selected class in the poll (the poll closed on April 1st) for the Analysis of this month, it will be published before the end of April or the latest in the first weeks of May (I am really sorry about that!). 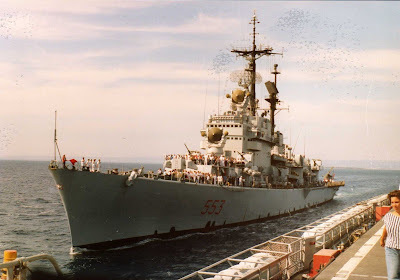 In this article, I summarize the Andrea Doria class cruisers, the first class of helicopters cruisers of the Italian Navy. 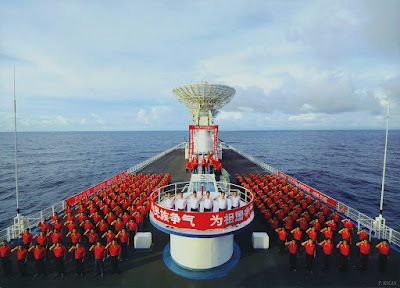 The U.S. Office of Naval Intelligence (ONI), published recently (April 9, 2015) an excellent report, the first unclassified report in six years, about the current and future capabilities of China's maritime forces. The document is titled "The PLA Navy: New Capabilities and Missions for the 21st Century", and you can read it here. Moreover, for the first time ever, the U.S. Office of Naval Intelligence (ONI) is making available publicly two great identification and recognition guides of China’s myriad People’s Liberation Army Navy (PLAN) and Maritime Law Enforcement (MLE) ships. The first poster, a very detailed fleet poster, illustrates all the classes of PLAN and MLE warships and ships respectively, with 148 carefully labeled silhouettes. A second poster includes 89 photos, one for each class of ship (warship or law enforcement ship), aircraft, helicopter and drone. The first poster definitely is an excellent and very difficult work considering the amount of detail and information in order to depict the numerous classes of naval units. HMS Triumph, last built submarine of the Trafalgar class. The Trafalgar-class nuclear-powered attack submarines were designed as Cold War warriors but have been adapted to the demands of the 21st century. The primary role was to hunt out and destroy enemy nuclear missile submarines as well as surface ships, over the decades they have been kitted out to perform other roles including covert surveillance and inshore reconnaissance of installations and landing beaches. All seven vessels were constructed by Vickers Shipbuilding and Engineering in Barrow-in-Furness, Cumbria. Three submarines have already retired (Trafalgar, Turbulent and Tireless) and four are active (Torbay, Trenchant, Talent and Triumph). These four submarines have been fitted with the Sonar 2076 system, which the Royal Navy describes as the most advanced sonar in service with any navy in the world. The Sonar 2076 sonar suite has the processing power of 2,000 laptop computers while it has the world’s largest number of hydrophones (13,000! ), providing the Royal Navy with the “biggest ears” of any sonar system in service today. This sonar is so sensitive that one lurking in the Solent would be able to detect a ship leaving New York harbor 3,500 miles across the Atlantic! The boats have a displacement of 5,300tons, a length of 85.4 meters and the complement is 130 people. Like all Royal Navy submarines, the Trafalgar class have strengthened fins and retractable hydroplanes, allowing them to surface through thick ice.The submarines of the class are equipped with Spearfish torpedoes and Tomahwak land attack cruise missiles. The following images depict the compartments and the general characteristics of the boat as well as its most important weapon systems and electronic equipment. 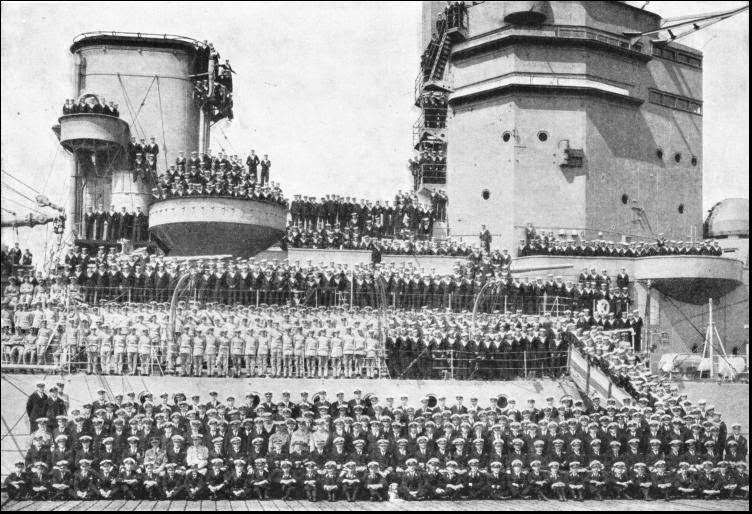 This is a collection of more than 75 crew photos of various countries' battleships and battlecruisers. I have always found really impressive the size of these Kings of the Seas, the so-called "Castles of Steel" or "The Floating Fortresses", with the huge guns during the 19th century and the early 20th century. 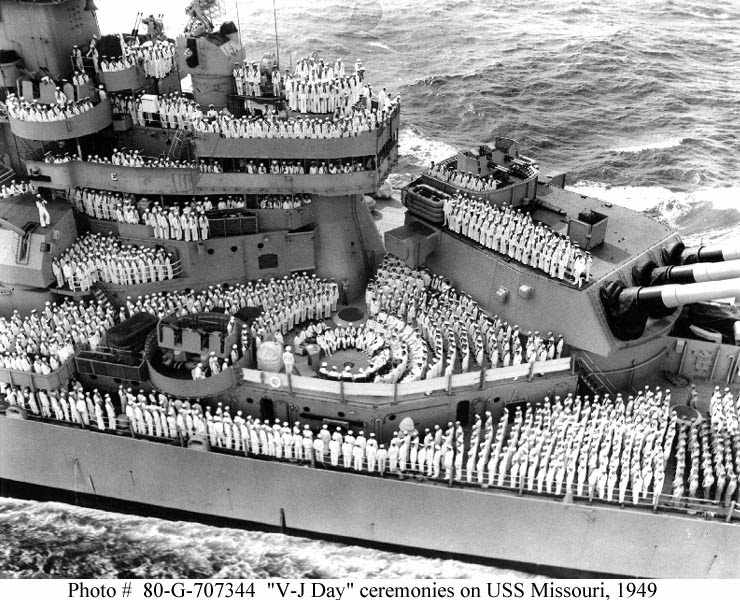 Moreover, the fact that these massive warships had a crew of thousands of men (the complement of some ships exceeded the 2,700 men! ), larger that any kind of today's surface combatant. So, enjoy some nostalgic photos of these former giant rulers of the seas with their crews! If you have similar photos, please share them with me and I will include them in this collection!